Get smart. Get on board. FREE Shuttle pick-up every 30 minutes! Citilink Bus System Route 9 serves USF campus areas and connects with routes all over town. Get Citilink's RouteShout app online at fwcitilink.com/RouteShout in order to get real-time information and updates on where the campusLink shuttle is located. 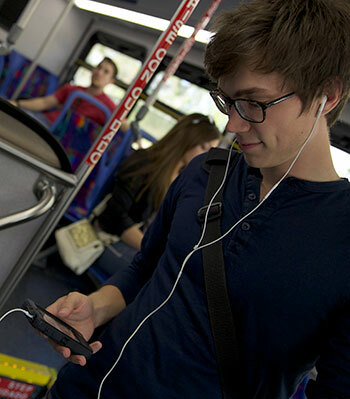 31 days of unlimited trips available to USF students, faculty & staff for only $40.50. Purchase a discount standard 31-day bus pass and get anywhere in the city… for pennies! These are available to USF students, faculty, and staff and can be purchased only from the USF Business office. Discount Citilink bus passes are also available from other local universities with valid school ID. Download the discount bus pass fliers and handy Ride Guides below to see how Citilink routes can get you to/from school. Valid student/faculty/staff ID required for pass discount. Each pass will be active 31 days from first day of use. 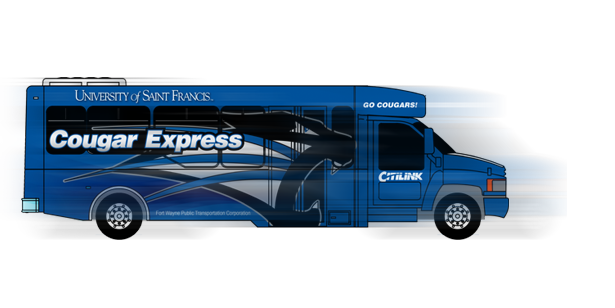 Discounted bus passes available at the USF Business office. Questions? Comments? Suggestions? Left something on the bus? Call: 260-432-4546.